A dirty thunderstorm (also, volcanic lightning) is a weather phenomenon that occurs when lightning is produced in a volcanic plume. 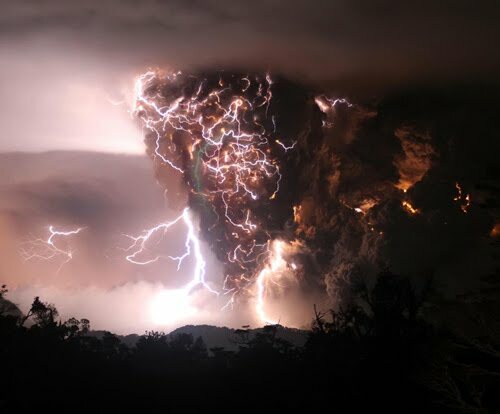 Electrical charges are generated when rock fragments, ash, and ice particles in a volcanic plume collide and produce static charges, just as ice particles collide in regular thunderstorms. 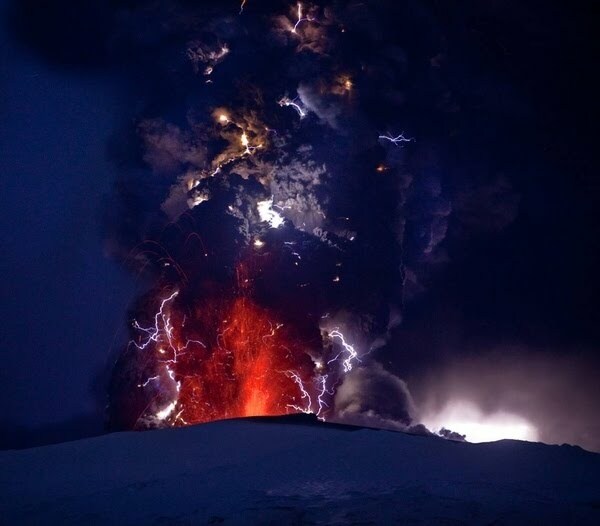 Volcanic eruptions also release large amounts of water, which may help fuel these thunderstorms. Instances have been reported above Alaska's Mount Augustine volcano, Iceland's Eyjafjallajökull volcano and Chile above the Chaiten volcano.